We’re as much disappointed as you are seeing that the Nexus 5 didn’t go official yesterday, but we’ve got a few fresh scoops of information that ought to get you excited again. The latest rumor surrounds the pricing of the upcoming Google Android flagship smartphone, suggesting that it will retail for higher than what was earlier anticipated. Android Geeks is reporting based on details provided by an anonymous source claiming to be ‘close’ to Google that the Nexus 5 will be priced starting at $399 instead of $299 for 16GB of storage. And the 32GB model will be tagged at $449 which is $50 more than the previously rumored $399 amount. The reason for high than usual rates has something to do with last year’s flagship. As per the rumor, the Nexus 4 isn’t dead as yet as Google is likely to relaunch the smartphone, but this time with a much-awaited feature. If you haven’t guessed by now, we’re talking about a variant with 4G LTE connectivity which was expected to go live at the company’s I/O event back in May. The handset will come in 16GB and 32GB options and is expected to retail for $299 and $349, respectively. From features to design to specifications, nothing is a mystery about the Nexus 5. We recently seen the smartphone in a lengthy hands-on video and a service manual also disclosed everything needed to be known about the phone. 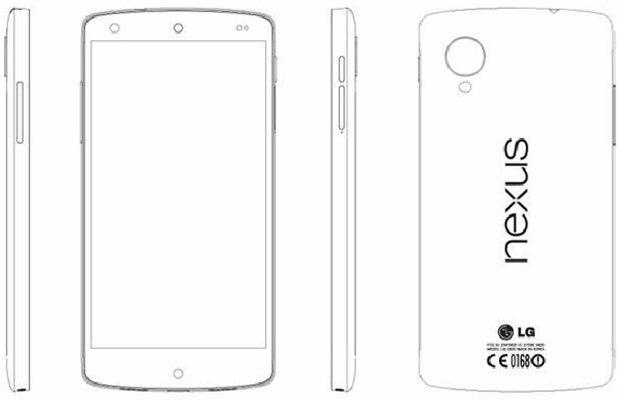 The device will run on Android 4.4 KitKat. The Mountain View giant is also expected to unveil an updated Nexus 10 tablet which will be made by Asus instead of Samsung. Google was supposed to announce its latest hardware and software yesterday and the Nexus 5 is expected to hit stores by the end of the month. We wouldn’t be surprised if that’s when the giant will take the wraps off the new additions.